We are a curious bunch, inspired by the endless possibilities that wine provides. 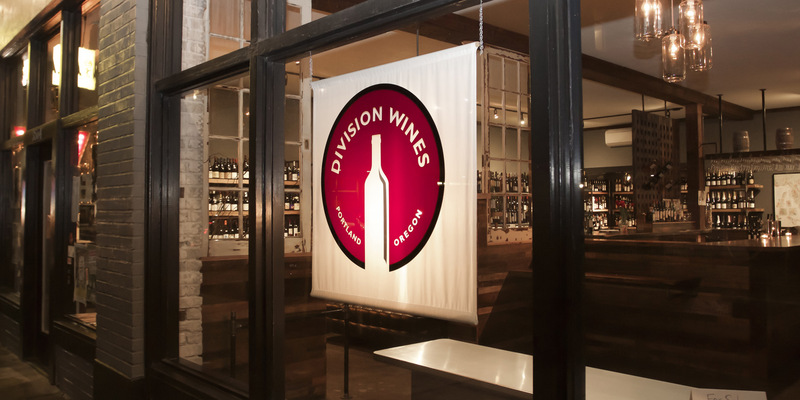 Division Wines is a neighborhood wine shop and wine bar with over 800 bottles from near and far with rotating small plates. Our focus is on expressive wines, made with healthy and thoughtful practices from off the beaten path. As with the food we offer, how the wines are made is always a consideration. Sustainability, conscious farming and the winemaking process are high priorities in our selection. Happy, healthy vines come from happy, healthy soil, resulting in the fullest possibility of expression. 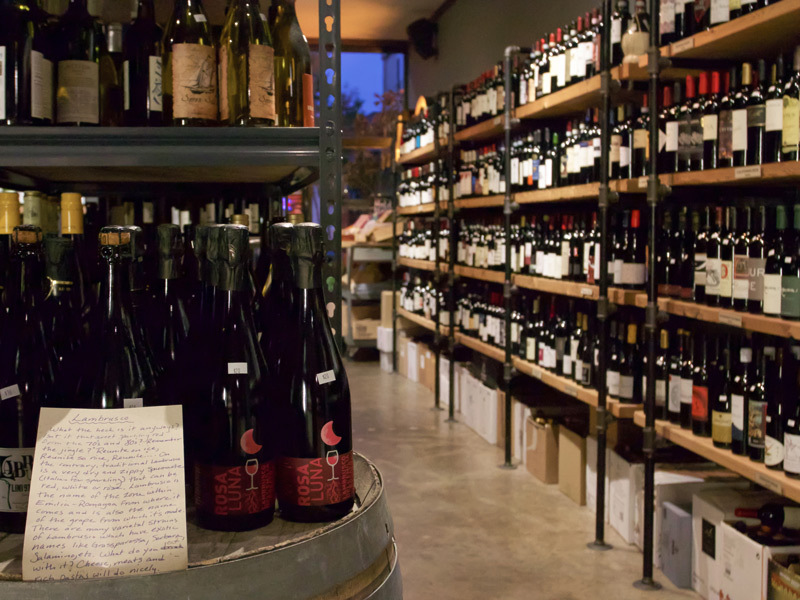 Half of our space is committed to retail shopping and the other half is a full service wine bar. On one side we share the story, and on the other we bring it to life. When searching for the right wine, you are the most important element in the equation. Our ambition is to demystify the process. What we are really offering is a relationship which creates an ongoing conversation. A conversation which places you at the center and narrows in on the types of wine that get you excited. 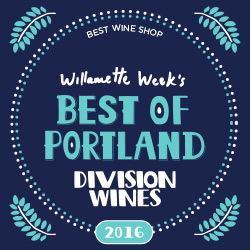 In addition to wines from both the Pacific Northwest and throughout the world, we carry a vast collection of vermouth, port, sparkling, sherry, sake, cider, dessert and aromatized wines. Our bar offers sparkling, rosé, white and red wines by the glass, as well as a selection of craft beers and a cider on tap. A flight of Sherry, Port or Madeira have been selected which demonstrate the range of styles these unique wines provide. In addition, all of the wines available by the glass are also available by the half glass, or can be assembled into a three glass flight. If you feel like exploring beyond these options, the entire wine shop selection is available for purchase which can be brought bar side and opened for an additional $10 above retail. This charge is waived for retail bottles priced at $50 and over. Division Wines is located in the Division/Clinton neighborhood of Richmond in Southeast Portland on Division Street at 35th Place, just a few minutes from Mt. Tabor and the Hawthorne District. Nestled in the heart of Division Street’s restaurant row, we’re now bordered by some of Portland’s premier culinary destinations like Ava Gene’s, Cibo, Yataimura Maru, Pok Pok, Roman Candle, Bollywood Theater, among others. 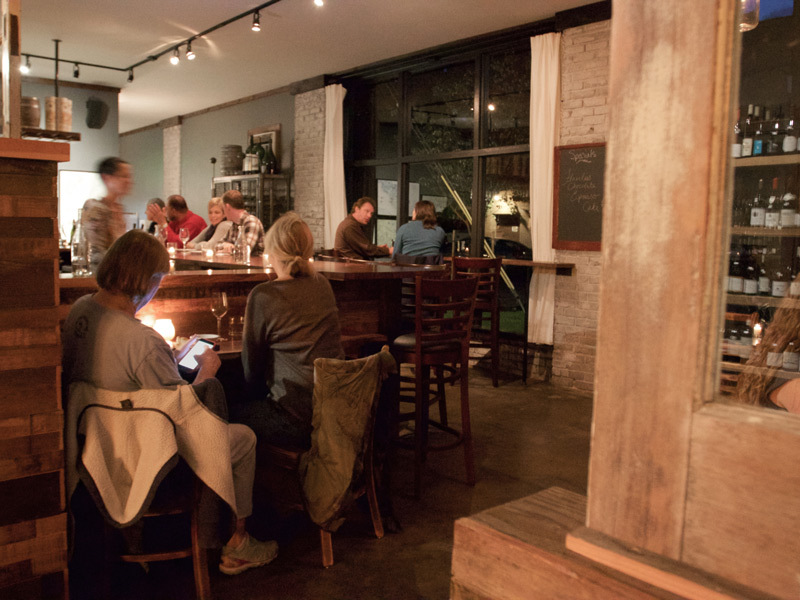 We also feature select wines from our neighbors at the SE Wine Collective Winery and offer seasonal outdoor seating as well as wheelchair access. Perfect for grabbing a bottle on the go, date night or before and after dinner bites and drinks. In ‘94 we loaded all of our worldly possessions into a 1979 Ford Disco Van, resplendent with floor to ceiling marled shag carpeting, baby blue swivel captain’s chairs, bubble windows, a working eight-track player and a box of tapes that would make Casey Kasem adjust his hair piece. We’ve settled into Southeast Portland, raised two boys, cats, rats and fish, planted trees and watched the city grow. Portland is our home. 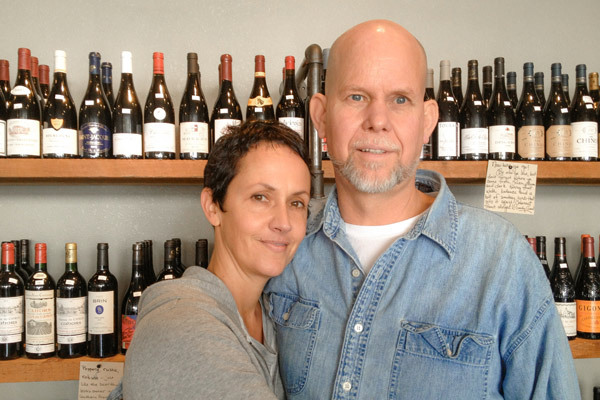 We love our valley, our city, our neighborhood and in 2011, after over thirty years of working in restaurants, we opened a humble little wine shop, a short walk from our house. All we wanted was to create a space where we would want to hang out, weave it into our neighborhood, and extend the same kind of service you expect to receive from a knowledgeable server in your favorite restaurant.